Washington, D.C. — Today, the United States government asked the U.S. Supreme Court to take the Hobby Lobby case to determine whether the Green family will be required to provide and pay for life-terminating drugs and devices in violation of their religious beliefs. The government’s appeal makes it highly likely that the Supreme Court will decide the issue in the upcoming term. Last June the Christian-owned and operated business won a major victory before the en banc 10th Circuit Court of Appeals, which rejected the government’s argument that the Green family and their family-owned businesses, Hobby Lobby and a Christian bookstore chain named Mardel, could not legally exercise religion. 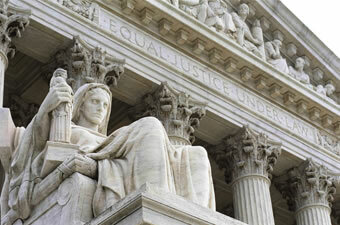 The court further said the businesses were likely to win their challenge to the HHS mandate. The government’s petition comes the same day as a petition in Conestoga Wood Specialties v. Sebelius, another case involving a challenge to the HHS mandate. The court will consider the government’s petition in the next six weeks. If the petition is granted, the case would be argued and decided before the end of the Court’s term in June. For more information, or to arrange an interview with one of the attorneys, please contact Melinda Skea, media@becketlaw.org, 202.349.7224.